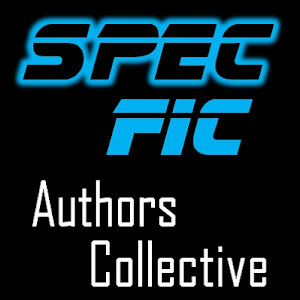 SpecFic Authors Collective: July Freebies! Blessed with the ability to walk through walls--and besieged with financial woes--a young man takes to robbing banks to support himself and his disabled mother. However, what he hopes will be his last heist goes awry when he comes face to face with a "hero" named Verdict who has particularly grisly plans for the "Ghost Robber." 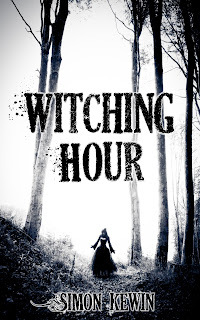 Free on Smashwords until August 1. Fawkes the cook has had enough of Mr. Stuart's insults. And now Stuart's son is making advances on the maid, Fawkes' daughter. How much abuse can a good cook take? When it appears that a better position is within his grasp, Fawkes plots revenge, but even the best cooks can make a mistake, and snakes don't ask questions before they bite. 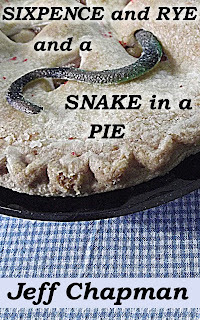 Incorporating elements from the nursery rhyme "Sing a Song of Sixpence," "Sixpence and Rye and a Snake in a Pie" weaves a cautionary tale of revenge gone horribly wrong. Unseen Things collects 7 flash-sized tales in the slipstream, horror, and science fiction genres. "From Scheol My Soulfire Burns" - The cursor blinks. This white veil awaits my next thought. "Imaginary Friendships Aren't the Easiest to Break" - Bernard felt things no one else did. "You Kill Me" - Looking at you now, it's tough sometimes to see the person I fell in love with. "While She Sleeps, Mountains Tremble" - The child looked as much like an angel as anything could, innocence incarnate. "Darker Ever After" - I'm too old for this. "Autonomic Zen and the Art of Destruction" - Unit X11-76 entered the universe as more than a null set but far less than an infinite number of possibilities. "A Monster By Any Other Name" - Sometimes he really hated being seven. These stories originally appeared in Silver Blade, Liquid Imagination, Misfit Magazine, Triangulation: Last Contact, Every Day Fiction, and Bards and Sages Quarterly. Free until July 31st from Smashwords using coupon code AP98H. 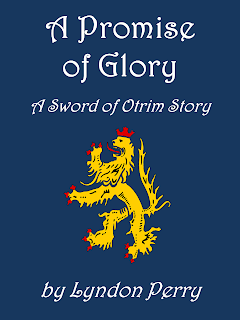 Paeter the Nederlander, a young mercenary searching for glory, is captured by Otrim of Idessa, a fierce warrior who sees something good and honorable in the sell-sword. When the time for battle comes, however, will Paeter prove himself true or will he deny his upbringing and betray his new commander…risking his very soul? 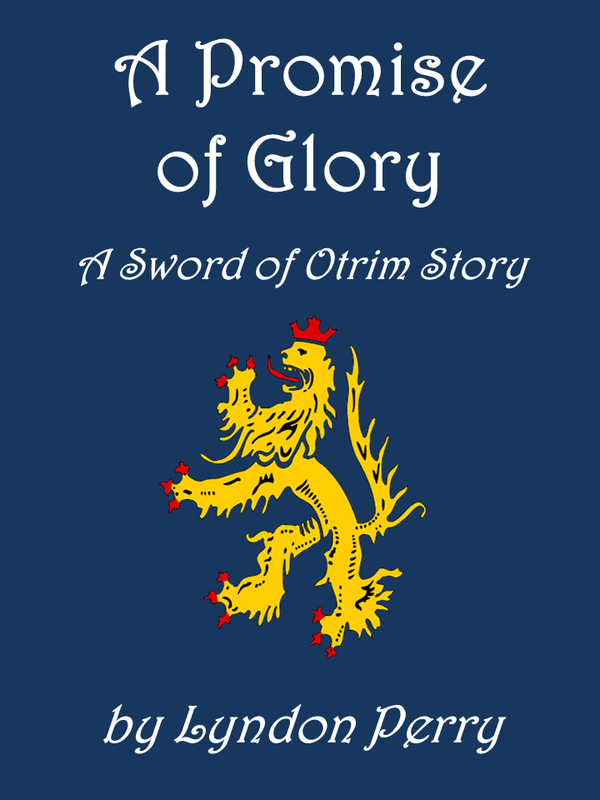 A Promise of Glory is a stand alone novelette of about 8,000 words (approximately 28 pages) but is also Part 1 of a 5-part series, The Sword of Otrim. 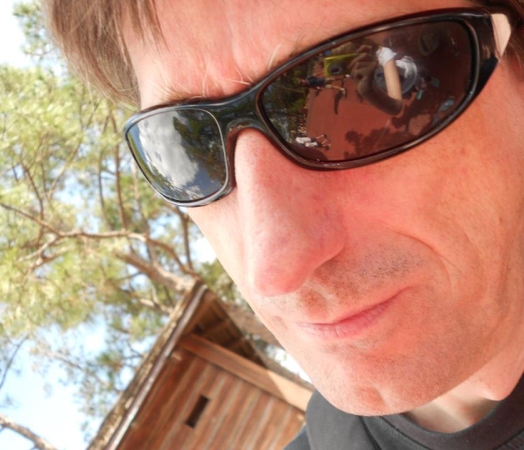 For more info on the series, visit Lyndon Perry, Writer.